(affiliate representatives come from all over North America). We usually have several educational workshops to attend, one or two festive evening events to relax at and time to just catch up, share best practices and get to know each other. There is great energy that flows through the conference as we see statistics and facts on the positive impact our organizations make on the lives of people touched by cancer. This year was even more fun for me because we added an advocacy component. I was asked early in the year to work with the HQ staff to begin developing a policy and advocacy section of our strategic plan. Those of you that know me know I love politics, love advocacy and more fitting, love cancer advocacy. 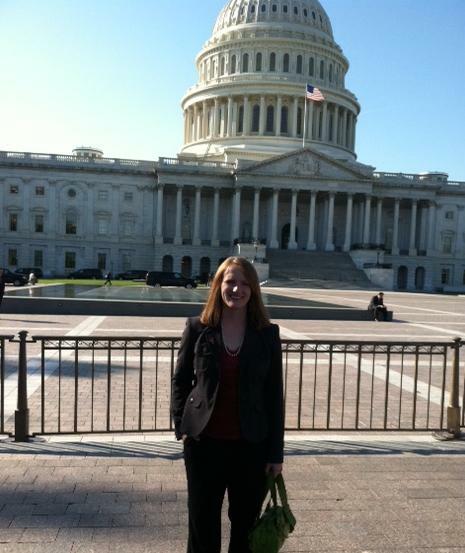 Our first goal was to take advantage of the conference being held in Washington, DC (it’s held there every other year) and get our affiliates to visit their legislators. So we developed messages, prepped the affiliates and made appointments with our elected officials. So proud to be an American woman with the right to vote! I had recently given a tour of our facility to some of our representatives so only reached out to Senators Stabenow and Levin. Disappointingly I only heard back from Senator Stabenow, who was actually busy that day so I scheduled time for our program director and me to meet with her staff. It turned out to be a good meeting with her staff person, whose mother is a cancer survivor living in Michigan. She was interested in our legislative messages and I was pleased to hear that Senator Stabenow supports issues important to us (no cuts to Medicare/Medicaid and reject limits on charitable deductions currently proposed). While we had little free time this trip, I was still able to check some sights out. 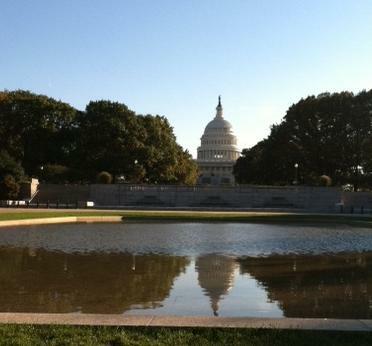 Our visit to the Senate office building was on a beautiful, sunny fall day. The Capitol was amazing set amongst trees with bright-colored leaves. The conference was held at the Marriott Wardman Park hotel, which is a short cab ride from the monuments and White House. It’s one of the biggest hotels in DC, which was evident by the fact that there were three conferences occurring at the same time! I was impressed with the staff because every time I paused to figure out where I needed to head, someone materialized and pointed me in the right direction. gates open at 8:30am every day except Christmas so I took the opportunity to walk there one morning. One of my favorite areas is the panda habitat. They’re so darn cute and cuddly looking! Giant pandas typically live in central China and are on the endangered species list since there are less than 1,600 in the wild and around 300 living in zoos and breeding programs. 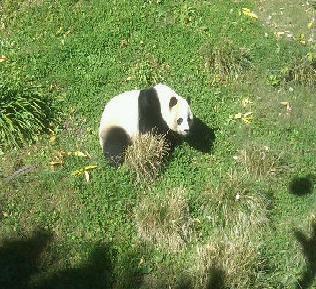 The National Zoo has two pandas “on loan” until 2015 from the China Wildlife Conservation Association. The pandas, Tian Tian and Mei Xiang, are part of a breeding program to protect and preserve this species. The Cheetah Conservation Center was cool too. There are three males and one female living permanently at the zoo. These animals are also on the endangered species list and part of a breeding program. I hope to go back to Washington, DC soon for a relaxed, personal visit (rather than work) so I can spend more time at the monuments, wander the zoo a bit longer and maybe even have dinner at the White House (ha, I can have goals!). There is something about being in our nation’s capitol that makes me motivated, inspired and like I can accomplish anything. Perhaps because big decisions are made here (and sometimes not so big and smart are made too). Perhaps because the times I’ve been here, I’m surrounded by fellow cancer advocates. Perhaps because I love our nation’s history and there is so much history in Washington, DC. Maybe it’s all these reasons and more.